Through interactive educational workshops for children, seminars for adults and a variety of innovative activities, the goal of the event was accomplished: the public were brought closer to science, while knowledge became one with fun and enjoyment, proving that science has no boundaries or limitations. For the fifth successive year, the science and innovation festival Athens Science Festival was held at Technopolis, Athens attracting 22,000 visitors. Of those, 6,000 were school children who got to know about the joys of science through interesting activities. For 6 days, Technopolis hosted 160 researchers, academics and educational organisations, 115 different interactive events, 48 workshops for children, 23 workshops, 55 talks and 5 competitions, as well as many other activities for all ages! The large audiences were impressed by the thought-provoking talks given by well-known international speakers, including the particularly interesting one given by Marsha Ivins, a former astronaut, as part of the tribute to ‘Women in Science’. 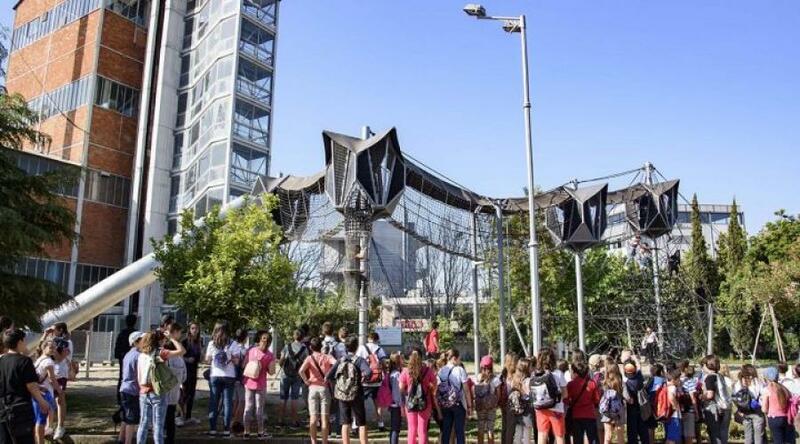 As Athens has been selected by UNESCO as World Book Capital 2018, the Athens Science Festival also featured a number of activities, talks, discussions, workshops and performances highlighting the link between books and science. As the festival’s motto this year was ‘Science without Borders’, organisations involved in the events of the Athens Science Festival transported audiences to the fascinating world of technology by presenting impressive applications, experiments and innovative discoveries. Research centres participating in the festival were: CSR Demokritos, Athens Research Centre, Foundation for Research & Technology, Greek Centre for Marine Research, National Observatory of Athens, National Hellenic Research Foundation and Greek Atomic Research Commission. A significant contribution was also made by the Onassis Foundation, while universities, scientific associations, educational organisations and schools presented the public with a range of new ways to view science, whatever their age. Panos Milonas’ Institute of Safe Driving invited visitors to rethink their driving behavior through interactive activities sponsored by Cyclon Lubricants. WHAT’S UP’s Escape Room attracted interest throughout the festival by asking participants to solve riddles in order to ‘defuse the bomb’ and ‘save Technopolis’. Additionally, young and old learned about safe browsing of the internet by taking part in activities put on by COSMOTE Family, while many donated blood at the mobile unit, Bloode. A modern musical experience was enjoyed by visitors to the Cave of Sounds installation, while concepts such as the ‘Higgs bosun’ and the ‘acceleration and collision of particles’ became clearer using the simple interactive experiences of the CERN Interactive Tunnel. Last but not least, the fifth Athens Science Festival culminated in Greek scientists being given awards in a ceremony for the first EΠI2 - Science Communication Awards 2018. Visitors, both young and old, went away with a very positive attitude towards science and its relevance to our daily life. The festival was organised by the educational organisation ‘Scientific ommunication - SciCo’, the British Council, Technopolis City of Athens, Onassis Scholars’ Association and the General Secretariat for Research and Technology and will be implemented in collaboration with academic and research institutions and educational organisations.